A cutting edge bird-tagging project has tracked a Green Sandpiper all the way from Hertfordshire to Norway and back. The GPS tags, which weigh only a gram, have been fitted to the birds over the last four years to find out where the Green Sandpipers from Lemsford Springs near Welwyn Garden City go to breed. This year, one of the tagged birds was tracked at intervals between April and July, and was found to have undertaken a non-stop 900km flight to Norway, before breeding, and returning to Lemsford Springs. This particular Green Sandpiper appears to have left the nature reserve on April 26th, and arrived at the south Norwegian island of Store Saesöy only two days later, having flown over the North Sea without a break. The bird then continued to travel to its breeding grounds near Trondheim, before returning to the UK in June. It is this teaming up that has led to Lemsford Springs becoming one of the best places in the UK to see Green Sandpipers. 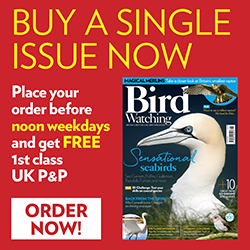 The birds stay on the reserve for up to 10 months every year, due to the availability of open water and freshwater shrimps year round, achieved in part by the planting of cress beds. The team at the reserve are hoping to use their new knowledge of the Green Sandpiper’s movements to further improve the conservation of the species.